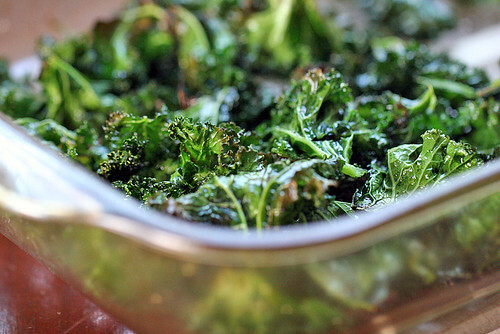 I made kale chips with Jay's leftover kale. Tossed them in olive oil, sprinkled with salt and then baked at 375°F until crispy. 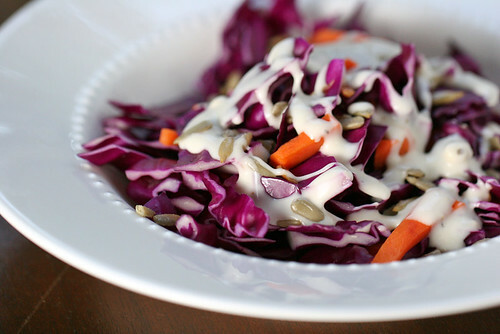 Then I had a salad of red cabbage, carrots and sunflower seeds. And a lot of blue cheese dressing. Aaaaand butter chicken! 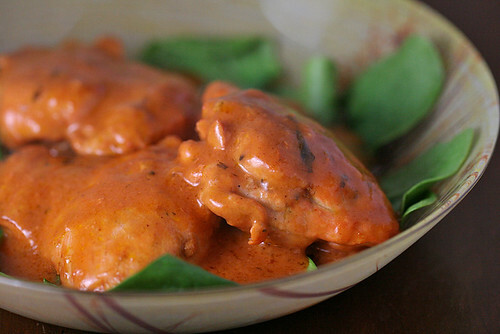 Prepared with mustard and Tandoori rub, seared and then cooked (covered, on low heat) in President's Choice Butter Chicken sauce. Served with spinach. Tonight's dinner brought to you by the secondary colour triad of purple, orange and green.